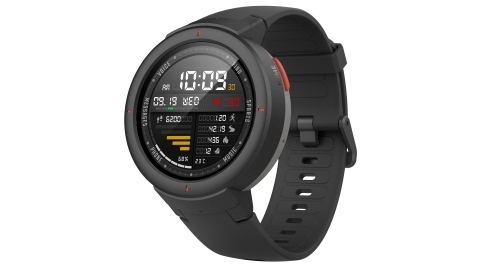 MOUNTAIN VIEW, Calif.--(BUSINESS WIRE)--Huami (NYSE: HMI), the second largest wearables company globally, announced today the U.S. availability of Amazfit Verge, the futuristic smartwatch that combines voice controlled Artificial Intelligence (AI) and the ability to make phone calls in an ultramodern, sophisticated design. Also launched today is the Amazfit “Giftness of Fitness” initiative, a month-long online program in which certified fitness professionals serve as holiday shopping concierge's to help people find the perfect fitness gift for loved ones. To take advantage of the free holiday shopping concierge, simply start a chat with Amazfit on Facebook Messenger. The brand will also be sharing gift-giving insights, savings, and giveaways using the hashtag, #GiftnessOfFitness across its social channels throughout the month of December. The Amazfit Verge smartwatch app, “Amazfit Watch” is available for free on iOS and Android. 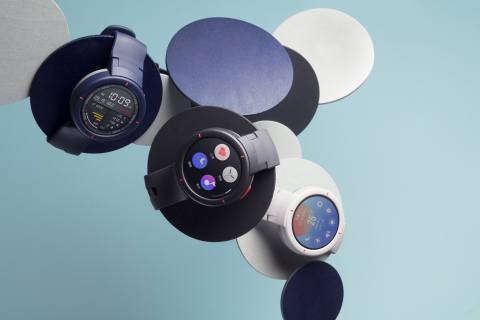 Amazfit Verge is now available to purchase on Amazfit.com for $159.99 (https://us.amazfit.com/shop/verge) and product will ship by December 18. Huami is a biometric and activity data-driven company with significant expertise in smart wearable technology. Since its inception in 2013, Huami has quickly established its global market leadership and recognition by shipping millions of units of smart wearable devices. In 2017, Huami shipped 18.1 million units of smart wearable devices. Huami has one of the largest biometric and activity databases in the global smart wearables industry. Huami's mobile apps work hand in hand with its smart wearable devices and provide users with a comprehensive view and analysis of their biometric and activity data. 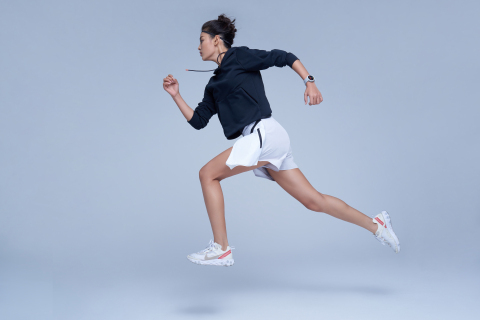 In addition to designing, manufacturing and selling smart bands and watches under its own Amazfit brand, Huami is the sole partner of Xiaomi, a leading mobile internet company and global consumer electronics brand, to design and manufacture Xiaomi-branded smart bands, watches (excluding children watches and quartz watches), scales and associated accessories. For more information please visit https://us.amazfit.com/ and follow along with #GiftnessofFitness on Instagram (https://www.instagram.com/amazfit/?hl=en) and Twitter (https://twitter.com/amazfit?lang=en).